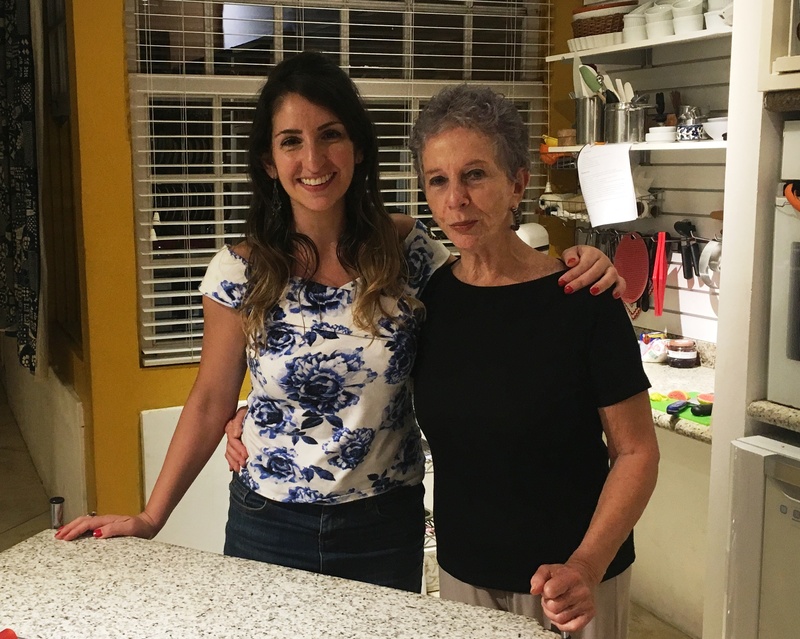 One of my favourite experiences in Brazil last year was a cooking class with the Brazilian version of Nigella, Yara Castro Roberts. I was wandering the cobbled streets of Paraty and happened to see the sign for Yara’s school, The Academy of Cooking & Other Pleasures (what a name!) and lucky for me they had a space for that night. 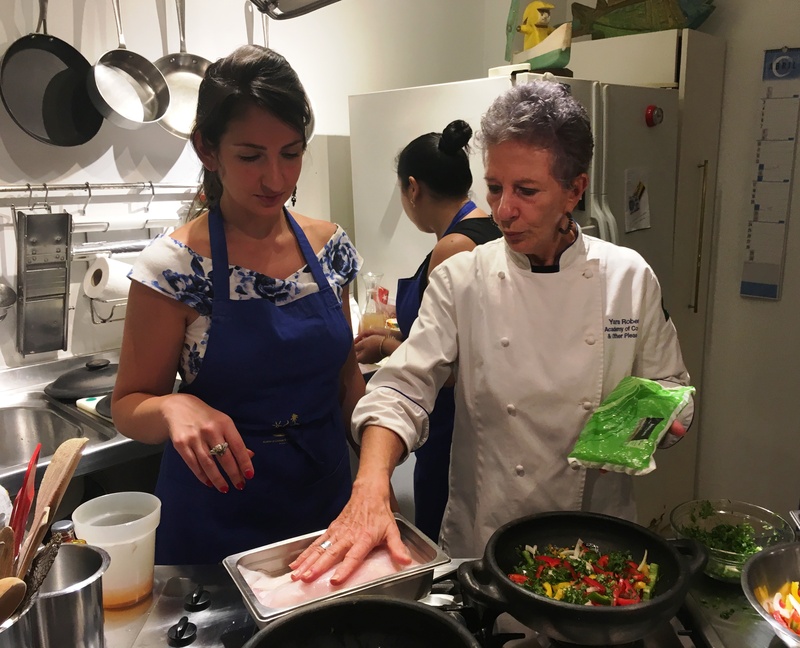 Yara used to have her own Emmy-nominated Brazilian cooking show, and hails from the gastronomic heart of Brazil, Minas Gerais. Along with her American/French husband Richard they operate cooking classes out of their very chic terrace home. 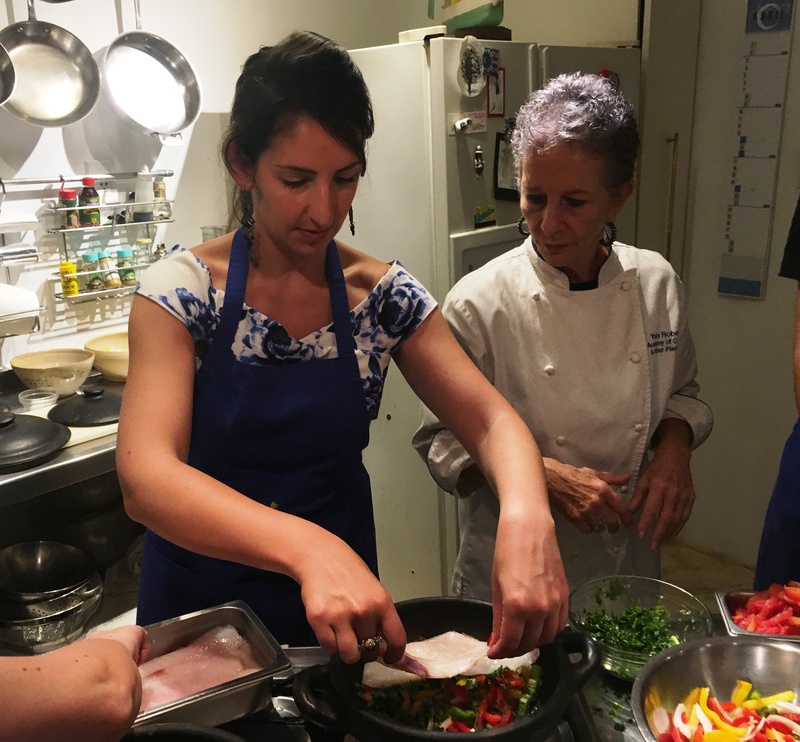 But cooking class is really not the right description as we did very little cooking – instead they took us on a historical and cultural journey through the history of Brazil told through food – with plenty of edible reference material along the way. And when I finally left at 1am I had the distinct feeling I’d been dining with friends all evening. 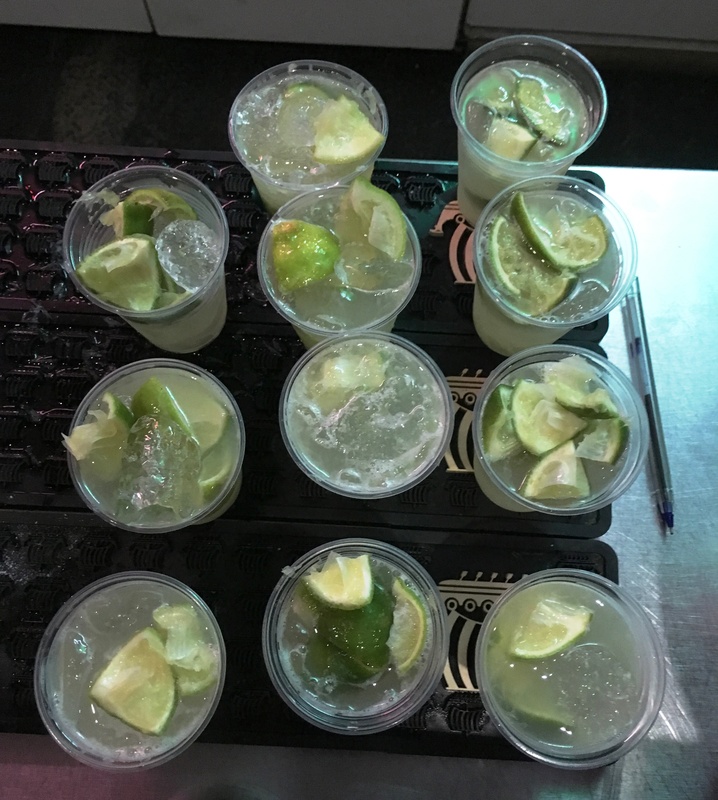 The night started as many do in Brazil – with caipirinhas. 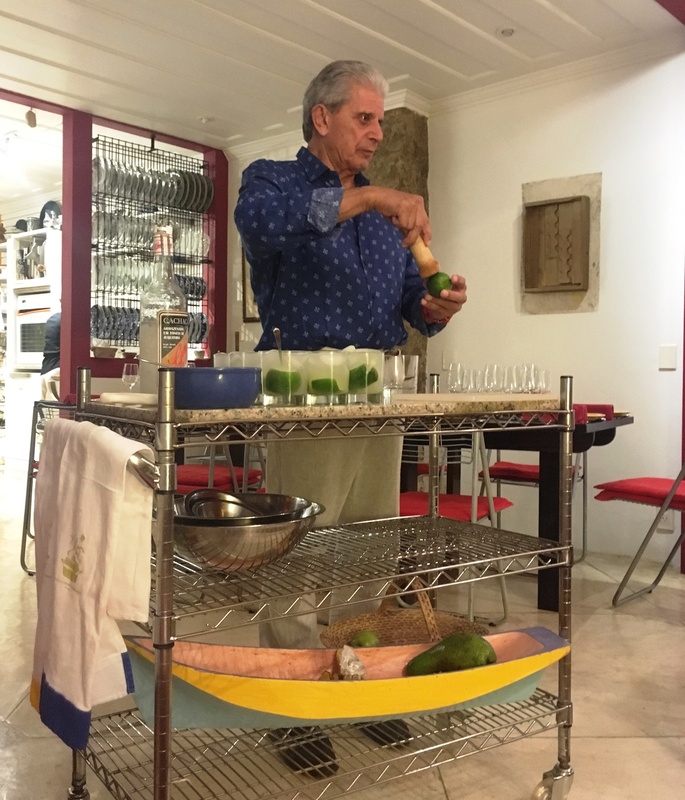 Richard whipped them up on a smart drinks trolley as he started offering background info on Brazilian food. Today’s cuisine is built on three very distinct legs – Indigenous, Portuguese and African. Over time the indigenous ingredients which sustained the native Brazilians have been appropriated by the Portuguese who came to conquer and influenced by the Africans they brought with them to work as slaves. The key indigenous staple that virtually props up every Brazilian dish is the starchy root manioc – also known as cassava, yucca or tapioca. It’s native to Brazil and has always been essential to the diet. 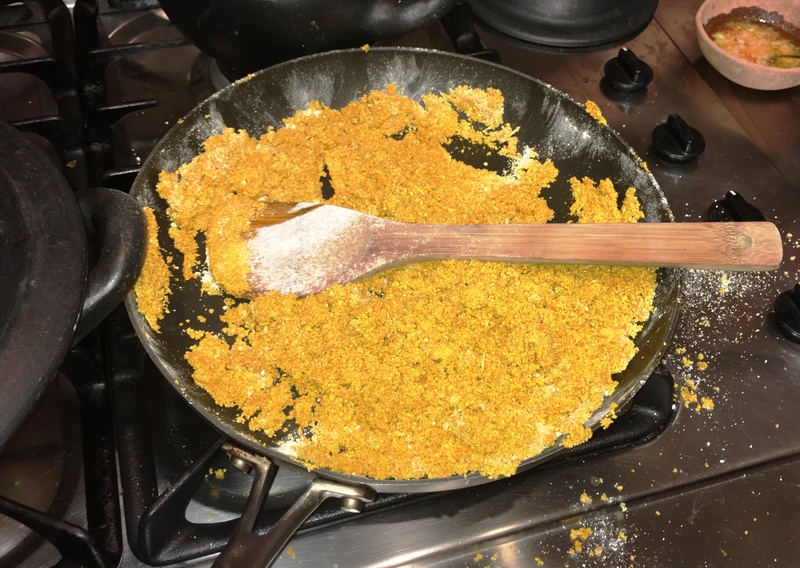 It’s incredibly versatile and can be boiled, baked, steamed, grilled, fried and mashed plus ground into flour and used as a thickening agent. Other popular indigenous ingredients hailing from the Amazon are the superfruit açaí and berry guaraná, used to make energy drinks. The second leg of Brazilian food comes from the Portuguese, who came to the country looking for gold and never left. They were the first to plant corn which was used to make polenta and introduced a bean concoction which has become the country’s signature dish, feijoada. Not to mention eggy breads and salt cod or bacalao. Yara also talked us through ingredients that came to Brazil via the African slaves, like coconut milk, dende (an extract from the palm tree), palm hearts and okra. 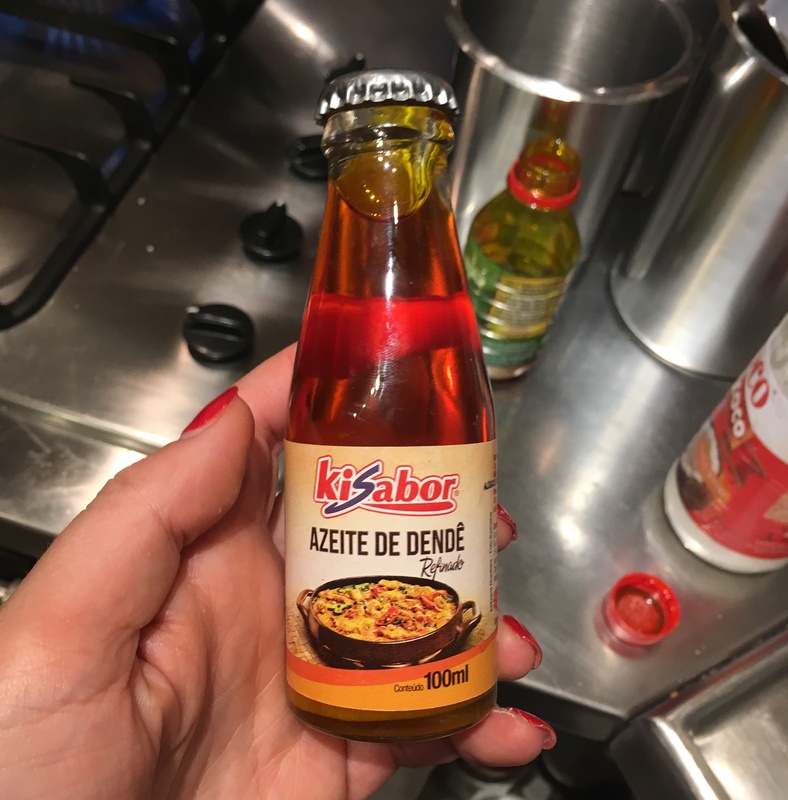 These ingredients infiltrate much of the African food that’s still very distinctive in Brazil, especially around Salvador where dishes like acarajé, a fritter made with beans and fried in palm oil, are very popular. In between the history lesson (which fascinated me so much I took notes – mum you’d be proud! ), we did roll up our sleeves and help Yara and her two cooking assistants prepare a three course meal. 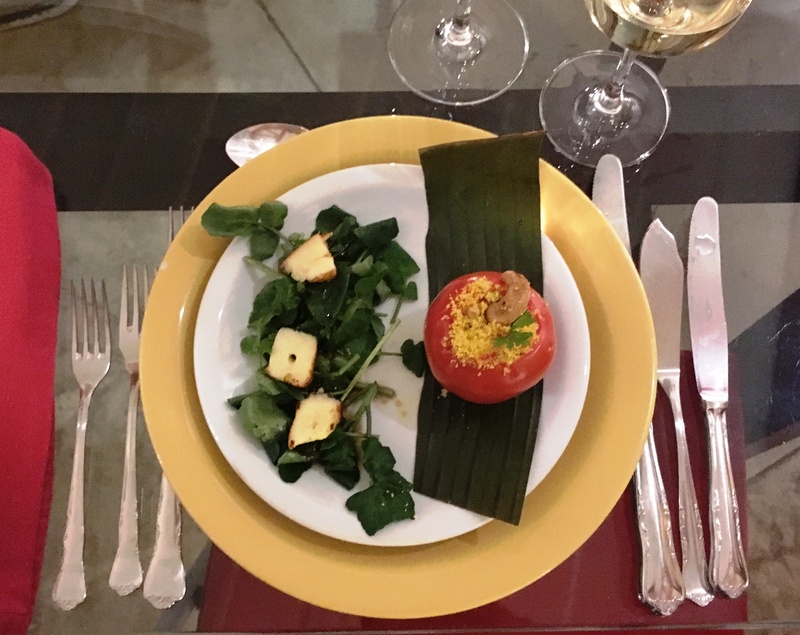 First course was tomatoes stuffed with farofa which is cassava flour toasted in butter and similar to toasted breadcrumbs, served with haloumi salad. The farofa is a great way to add texture to a dish and give it a slight toasty flavour. 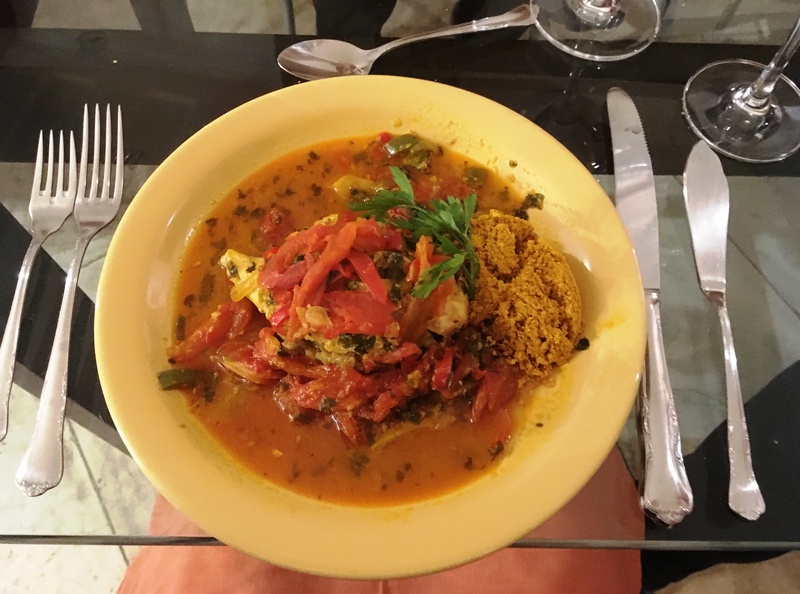 The main was moqueca – a fish and vegetable stew with coconut milk prepared and served in terracotta pots, which is African in origin. 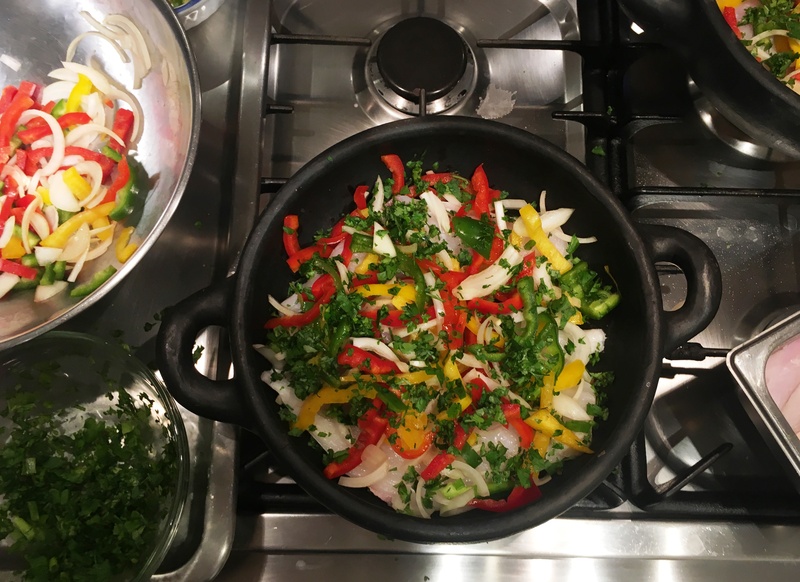 I eagerly put my hand up to assist with this dish and got stuck into layering onions, peppers and coriander with thick pieces of fish and pouring a mix of coconut milk, dende and stock on top to gently braise the fish. 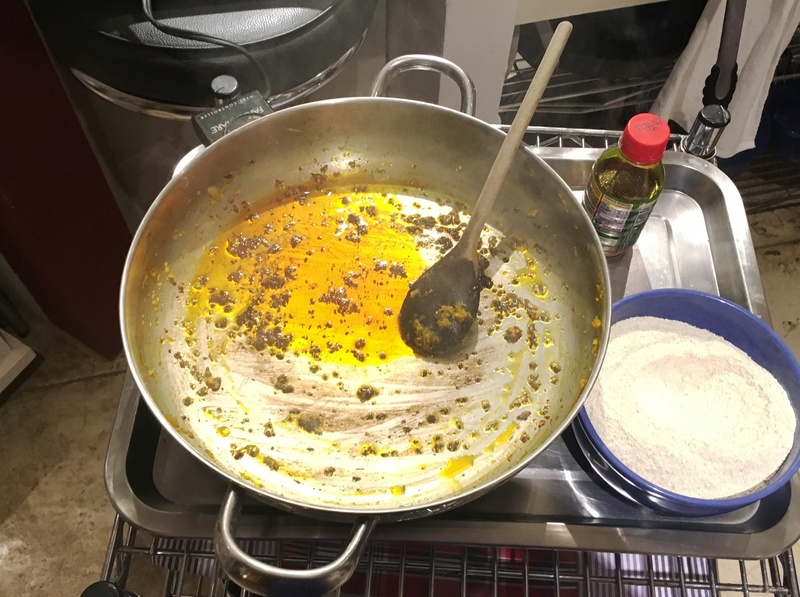 The moqueca was also served with farofa which was an excellent complement; the crunchiness of the farofa cutting through the richness of the stew. Dessert was a tasty little quince tart with cream and jam served well after midnight. After a final glass of wine I left feeling fuller but wiser, with my curiosity about Brazilian food at boiling point. Lucky for me I was en route to Rio where I was soon to take the best food tour of my life. Stay tuned for the post!